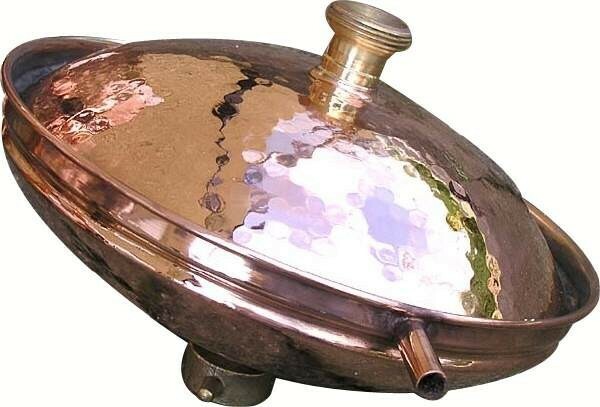 Large alembic still with hard soldered 150 liter boiler – hand-forged copper still for commercial use. 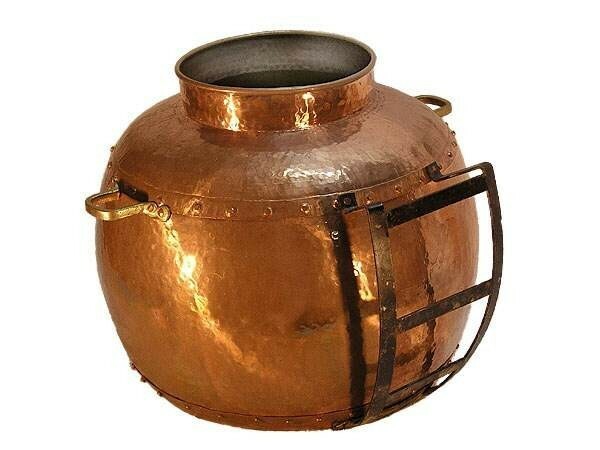 The traditional alembic still hand-forged completely out of copper with soldered boiler, in top quality which is also suitable for commercial distillation. 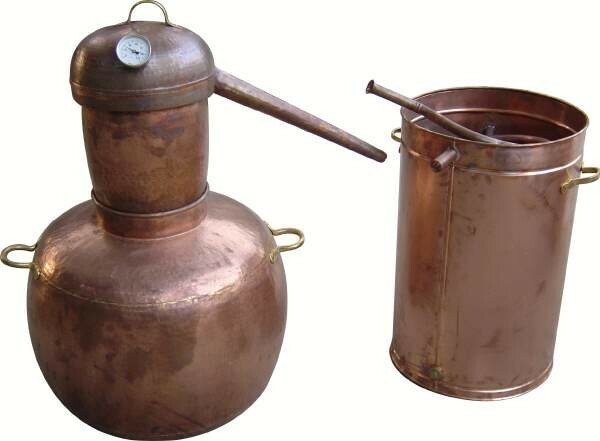 The ideal copper still for all distillates which need excellent aroma. 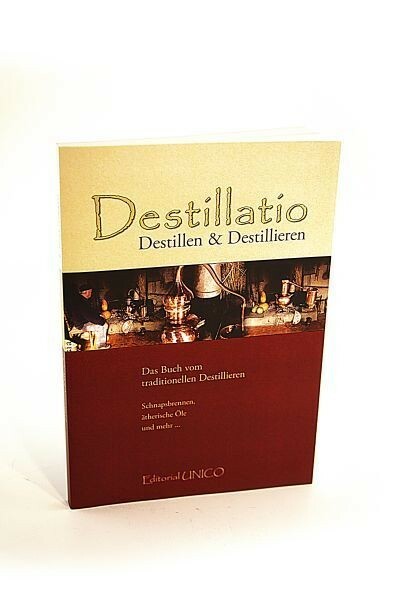 We recommend this alembic still especially for the distillation of whisky, brandy and the production of fruit schnapps made out of mash or wine. 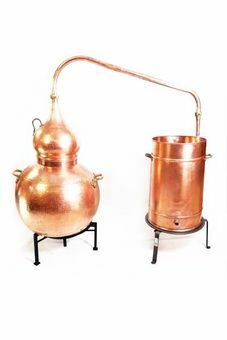 Alternatively, this copper still is also well-suited for the production of essential oils, if you want to distil directly out of the boiler and not use steam. 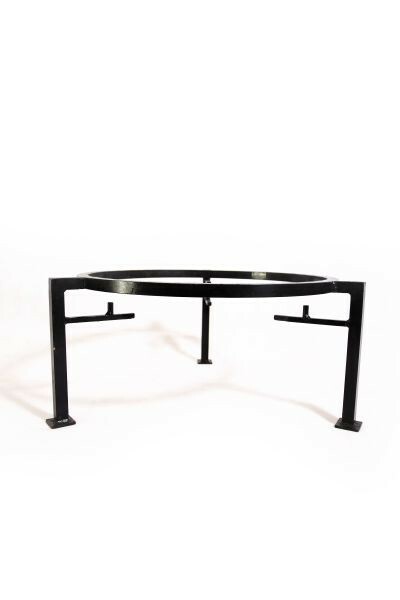 You can obtain very good results with oils from blossoms, particularly rose blossoms. 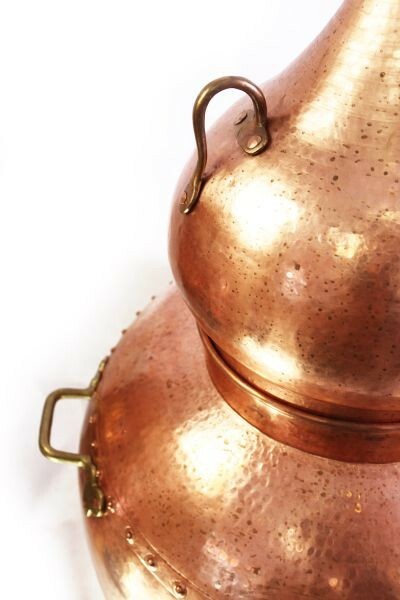 This copper still was meticulously hand-forged and inspected. 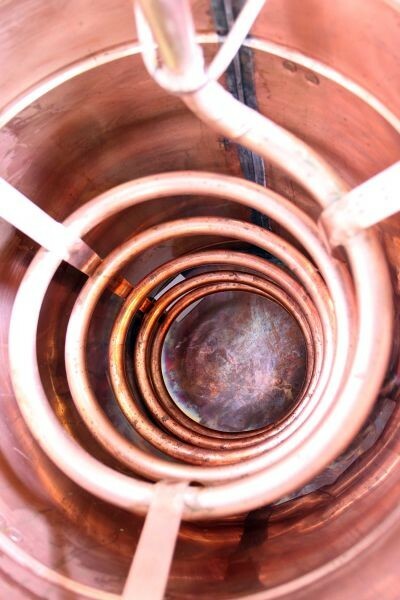 The individual parts of the boiler (with 3mm thick bottom) were permanently welded (hard soldered) together and guarantee uncomplicated performance and handling, even if you distil a lot or commercially. 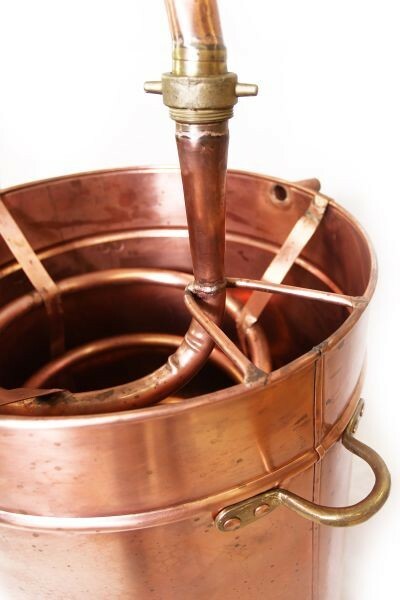 This still from the CopperGarden® traditional forge is also suitable for the heaviest work load – and as mentioned above, it is perfect for highly aromatic alcohol distillates and fine spirits. 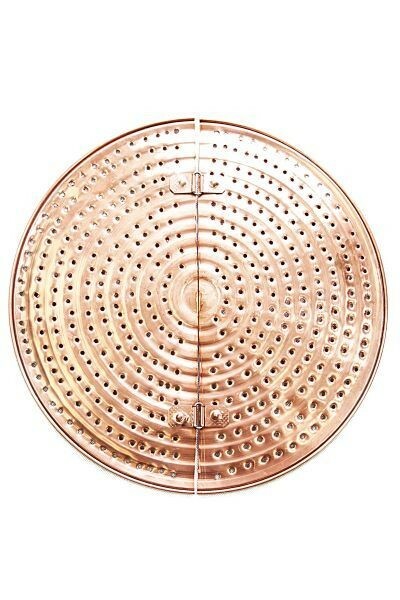 The bronze-welded boiler is supplied with reinforced bottom, well-designed head, screwed on lyne arm / swan neck and a generously sized condenser with water intake and drain. 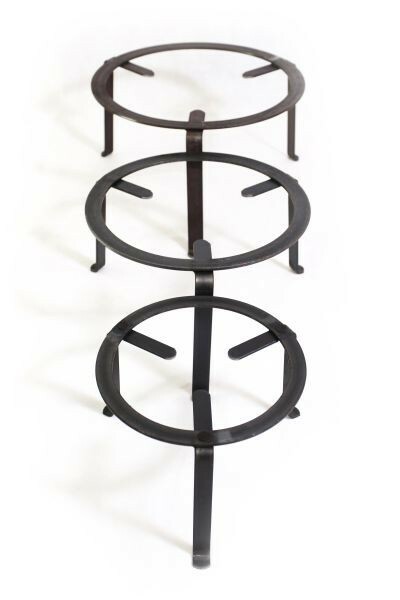 A top quality product from the CopperGarden forge with countless additional enlargement options and attachments. 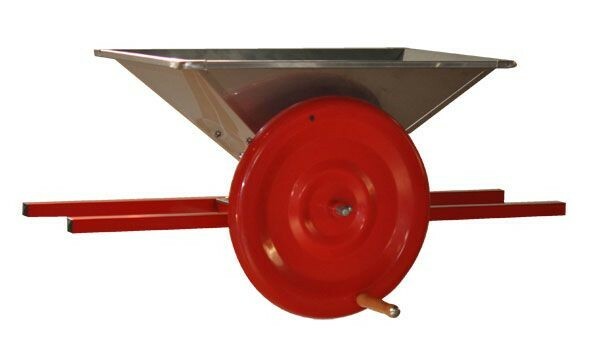 We would be happy to compile an individual offer according to your requirements. 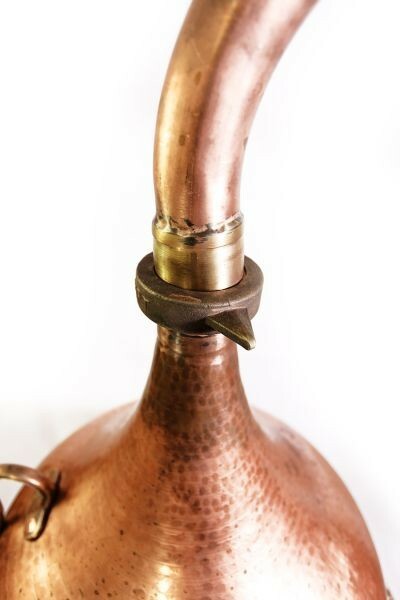 Please note that, in most cases, this copper still is forged only after receiving your order. 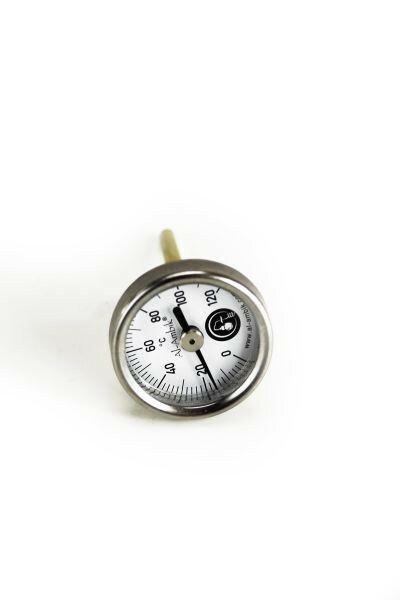 Depending on our workload delivery can take up to 8 weeks. We also invite you to get in touch with us personally because we often have similar copper stills in our showroom, and can deliver immediately and even give a small discount. 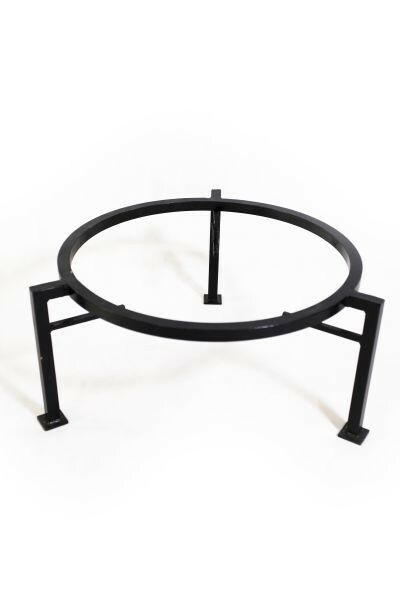 Owing to the size, delivery is only possible by an international forwarder, specially packed and on a pallet, or it can be personally collected.